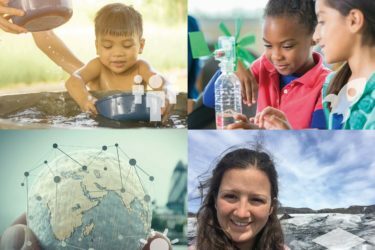 Engineering Futures focus area is dedicated to providing support to projects that introduce design in the natural and built environment to school children of all ages. Our funding helps schemes that aimto give students learning experiences in Maths, Science and Physics, all while using engineering principles. 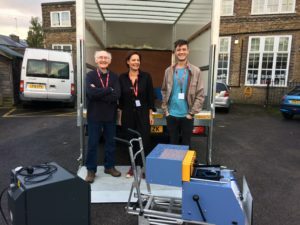 During 2018 we were able to provide funding for a number of programmes across the UK and further afield. An architecture/engineering and design project where students’ collaborate with architects to consider how they can improve their school environment. Architects NEON went to five schools in Barnetto work with students to consider the built environment, and the design and engineering process that supports the creation of our public spaces and environments. NEON helped the students consider their school environment, and developideas for projects that will make practical and aesthetic improvements to their school. Students then went through a design process where the best ideas were developed and delivered, with the children and young people making the decisions. In addition to the workshops, each school was given £1,000 to spend on improvements to their sites. An exhibition documenting the process is on display in the Art Depot’s Apthorp Gallery during December 2018. Tinkertown is a playful place-making event supporting children and families to design and build their own dens and structures from scrap timber. Visitors were provided with training and tools and are free to play, learn and discover while developing their creativity and construction skills. 350 children and their families took part in this three-day workshop, with many attending all five days. Each year the HF sponsors two schools in the DEC! Class of Your Own ‘Adopt a School’ programme. This is our third year working with Leith Academy, to deliver the Level 1 curriculum. This course is being led by Alex Milne, a graduate structural engineer from BuroHappold in Edinburgh. We are also part of a consortium led by London Legacy Development Corp (LLDC) to support the delivery of the Level 1 curriculum at a number of schools around the Olympic Park and Stratford. Jonathan Jackson, a senior structural engineer at BuroHappold, London, is leading the engineering aspects of this course on behalf of the Foundation. 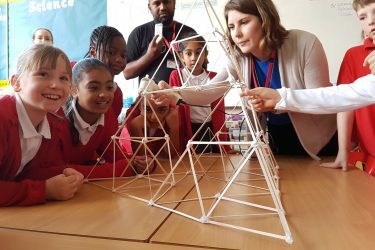 The Smallpeice Trust delivered ten STEM days across London, Edinburgh, Manchester, Leeds and Bath. 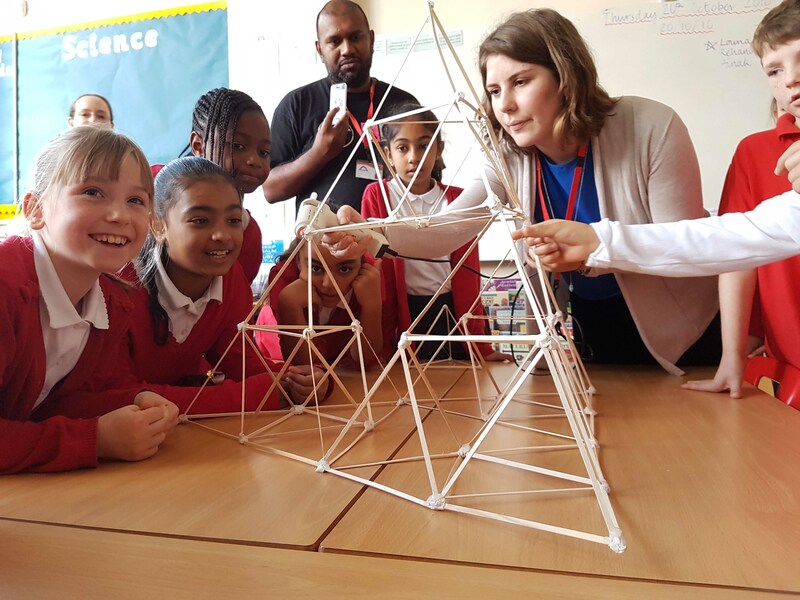 STEM days were run at one primary school and one secondary school in each city, targeting non-selective state schools and schools that score higher than average free school meals. 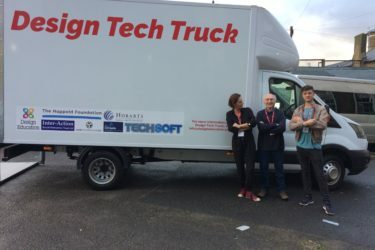 The Happold Foundation have provided funding for the rapid trialling of the Design Tech Truck, a mobile STEM workshop that travels to schools throughout the Greater London area. 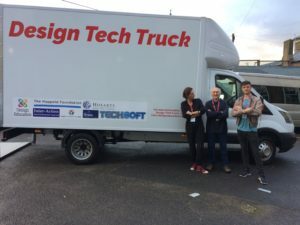 Following the completion of this and analysis of the projects’ success, Design Education has set out their intention to establish a fully funded and permanently staffed DTT programme across London and beyond. In partnership with BuroHappold’s New York, Chicago and Los Angeles offices, The Happold Foundation’s mentors work with students throughout the academic year, offering workshops, site visits and team design projects to help students learn more about working in the industry. 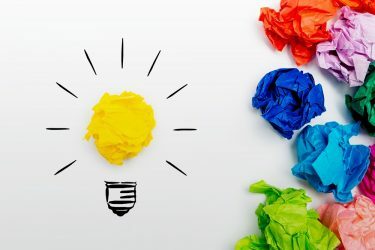 Along with this, The Happold Foundation provides a scholarship to a student on the programme who has worked harder than most to pursue their desire for a career in the built environment. This year, The Happold Foundation is delighted to announce that the 2018 ACE Mentor Scholarship was awarded to Edgardo of Holy Cross High School, New York, USA. Edgardo is majoring in Civil Engineering in college.